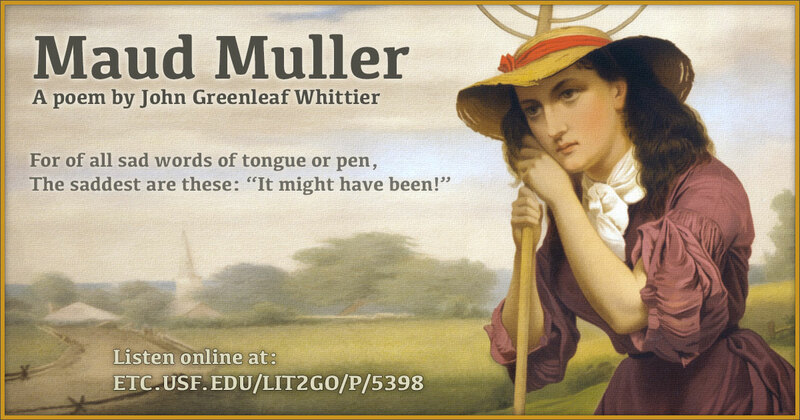 On this day in 1807, American poet John Greenleaf Whittier was born. 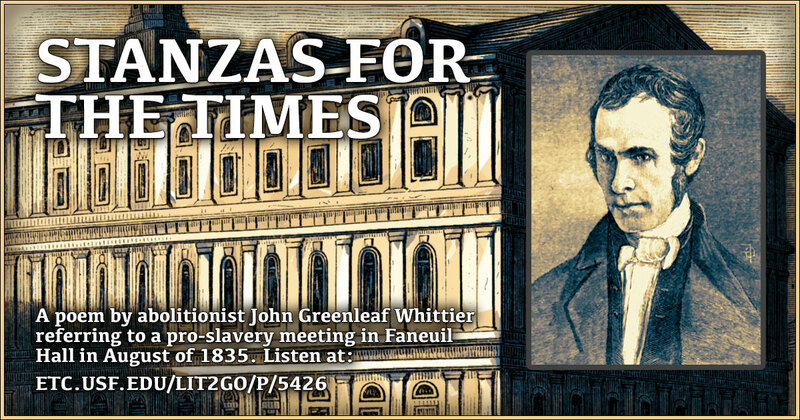 Whittier is remembered particularly for his abolitionist writings. 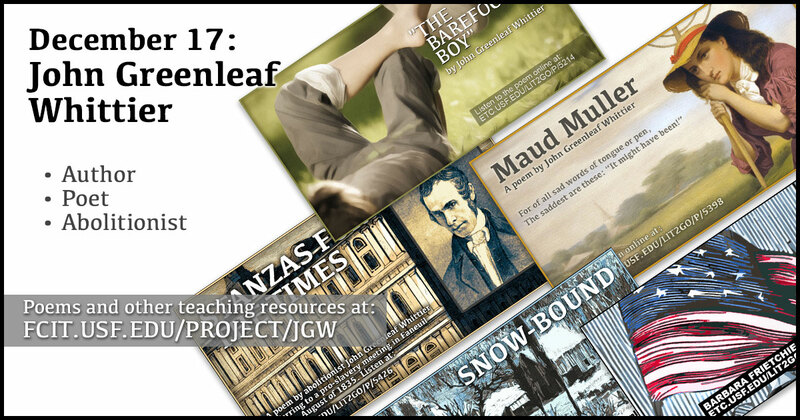 Use this banner on social media to share our John Greenleaf Whittier teaching collection. Illustration by FCIT based on an historic illustration of Whittier. 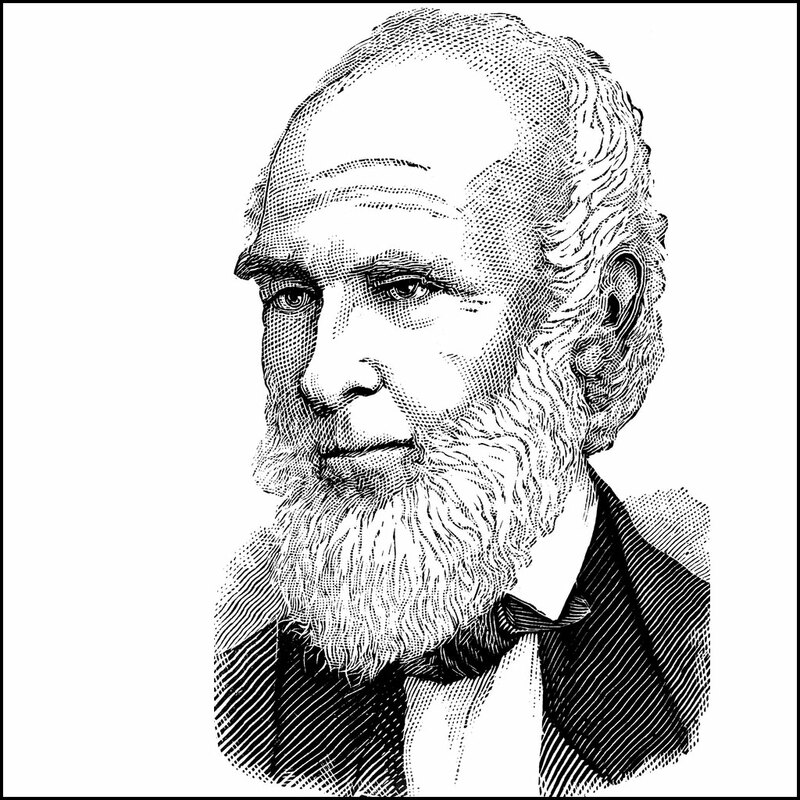 Illustration of John Greenleaf Whittier from the ClipArt ETC website. 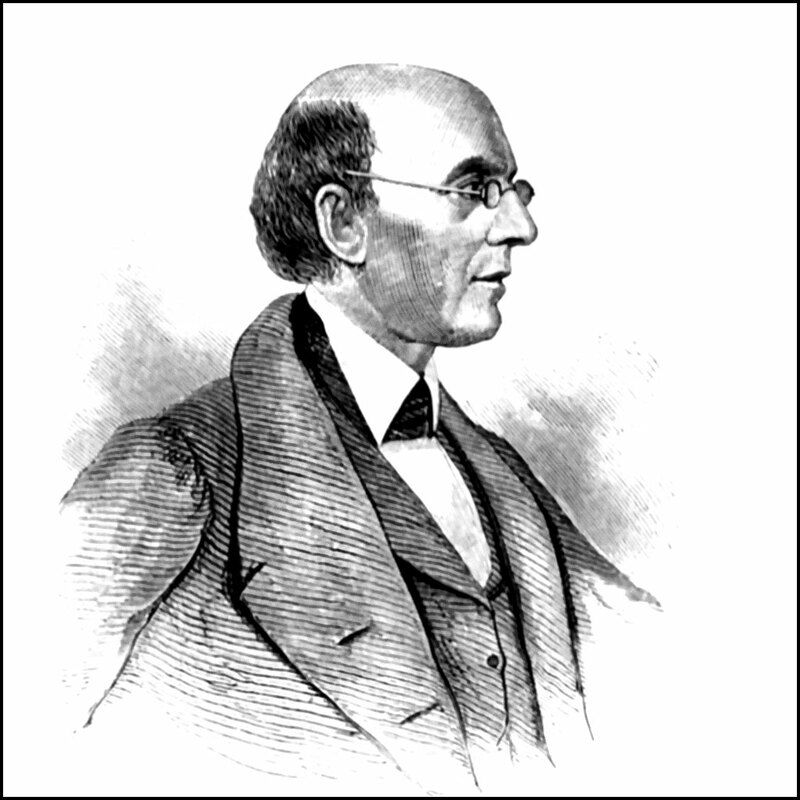 William Lloyd Garrison from the ClipArt ETC website. 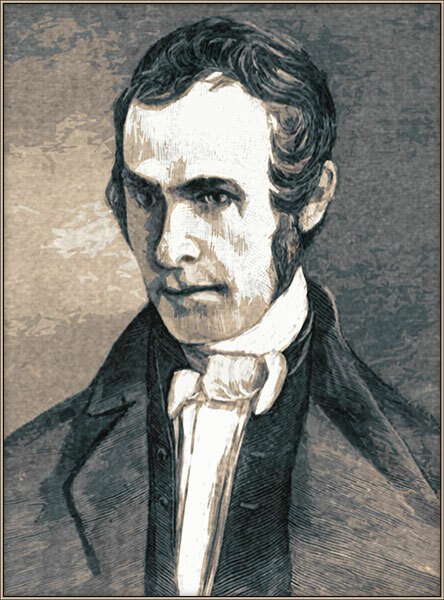 Garrison was leading abolitionist of the era and the publisher of the Newburyport Free Press. Whittier’s first published poem, “The Exile’s Departure,” was sent to Garrison by Whittier’s sister when he was still a teenager. Garrison published it in his newspaper. 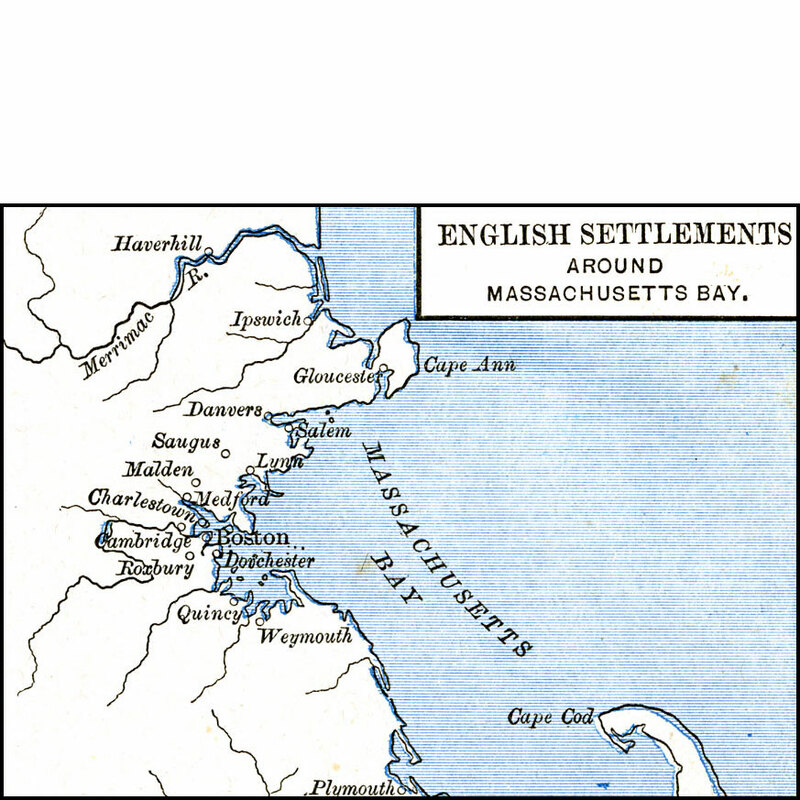 Map showing the location of Haverhill (where Whittier was born) and Boston (where he was the editor of the National Philanthropist and then the American Manufacturer). Map from the Maps ETC website. 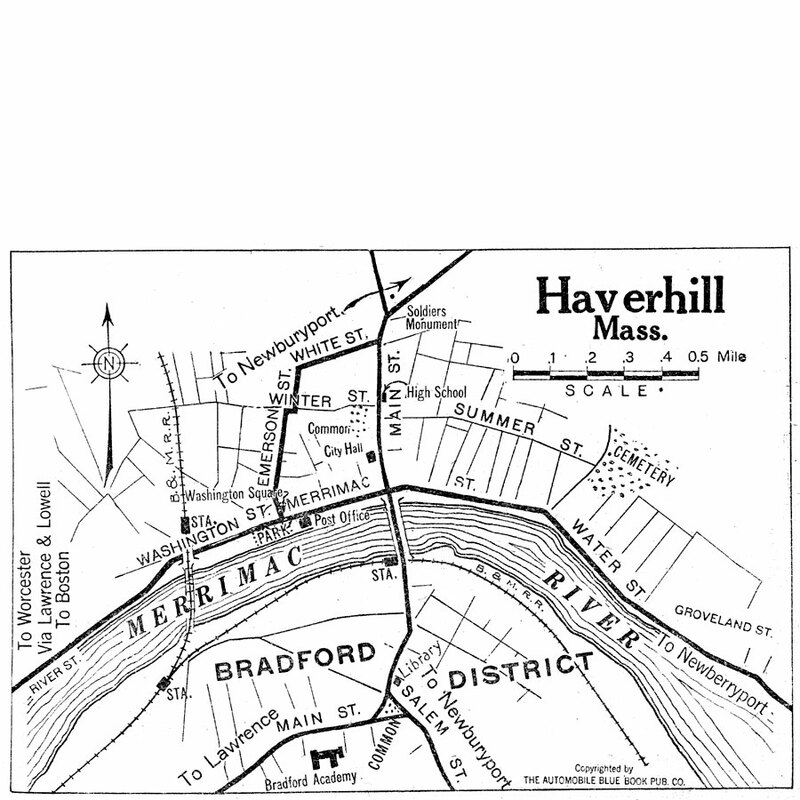 Map of Haverhill from the Maps ETC website.The Whittier homestead is about 3 miles northeast of the center of town. 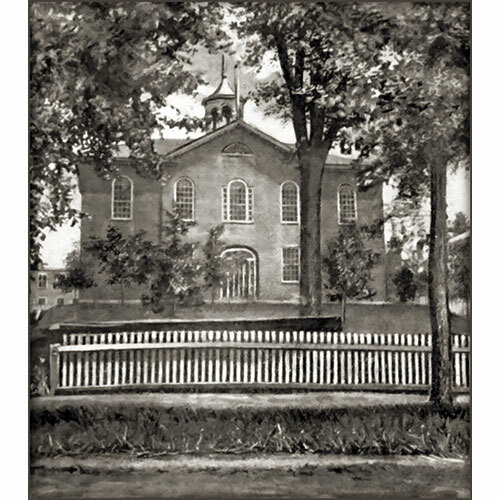 Whittier attended Haverhill Academy from 1827 to 1828 and completed high school in only two terms. To raise money for tuition, Whittier made shoes during his first term and taught in a one-room school during his second term. He had also participated in the 1827 dedication of the school by composing an ode, which was sung at the ceremony. But spare your country’s flag,’ she said. “Whittier” from the Lit2Go website. 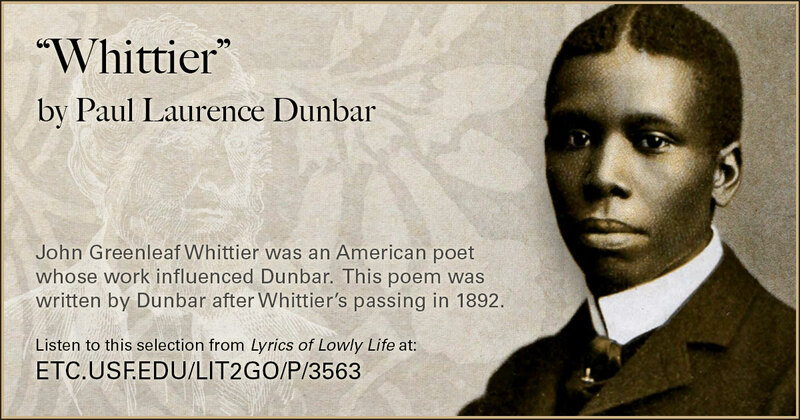 Whittier was an important influence in the work of poet Paul Laurence Dunbar. Duration: 1:01. Also available as a PDF. A poem by Whittier referring to a pro-slavery meeting in Faneuil Hall in August of 1835. Listen at the Lit2Go website. Duration: 3:47. 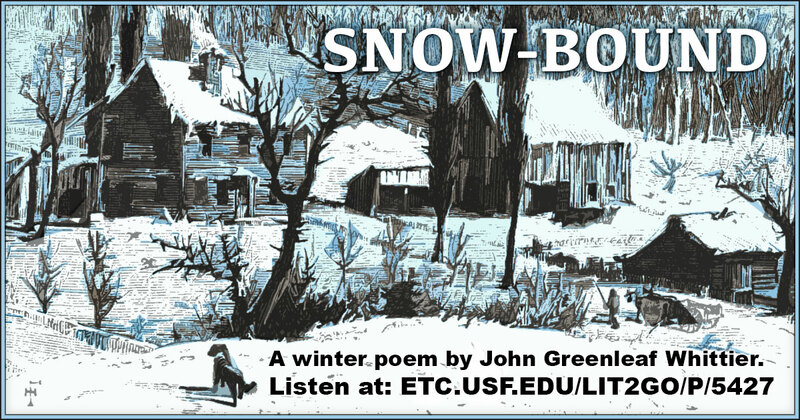 This poem by Whittier chronicles a rural New England family as a snowstorm rages outside. 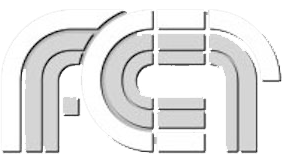 It captures a rapidly-disappearing lifestyle. 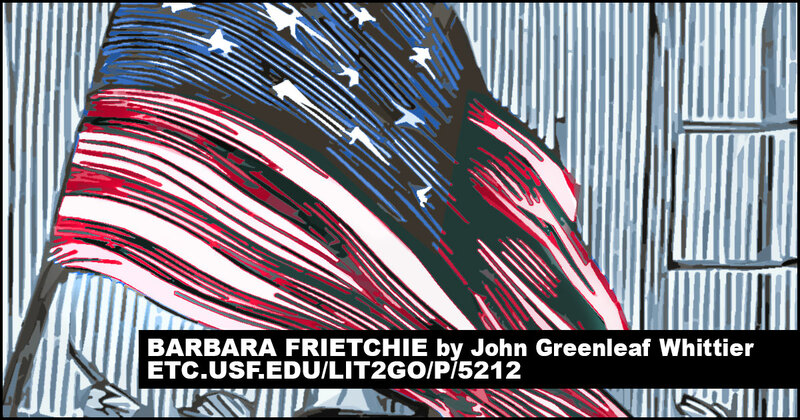 Audio available from the Lit2Go website. Duration: 30:06. Also available as a PDF. 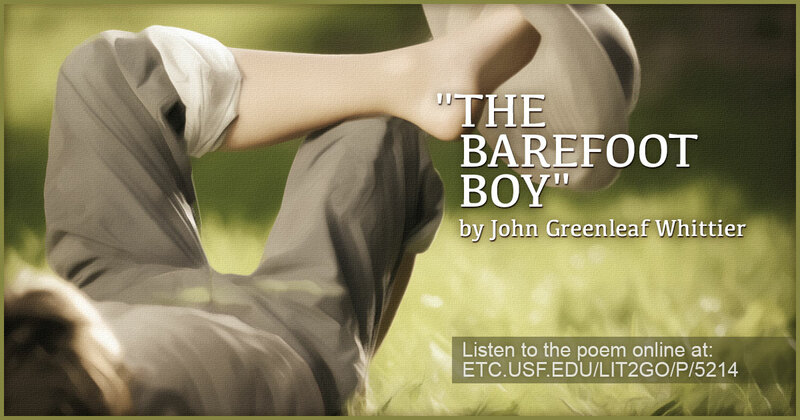 Listen to Whittier’s poem about childhood on Lit2Go. Duration 3:58. Also available as a PDF.